Interested in developing your inner power? 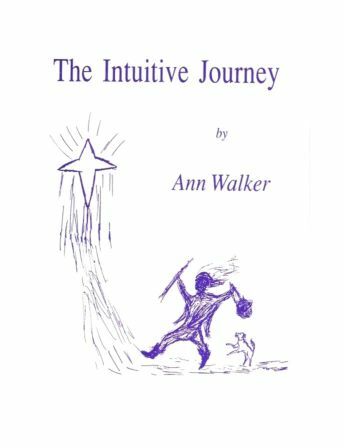 Ann Walker has written a selection of books and audio tapes to enlighten and inspire. We are all born with intuition but the degree to which we are able to use it has been affected by the conditioning of our home, school, work, intellect and education. The Intuitive Journey explores the ways to remove layers of environmental conditioning and to develop our instinctive or psychic powers to unearth our real selves and our reason for existence. It is about the journey we make from birth to death, the never ending trail that all of us who live today are experiencing. Along the way, we encounter many hurdles in relation to our self identity and other setbacks which may prevent us from developing our senses. The Intuitive Journey is a cheerful book that explores telepathy, ESP, dreams, imagination and more. Tarot Cards work by a system of mnemonics; visual symbols which alert one to knowledge buried in the subconscious. The mystery about them is the hidden power that causes the readee to select those cards from a deck of seventy eight that are pertinent to their life and problems at that point in time? LIVING TAROT will not give you the answer to that question but it will teach you how to let the cards tap your subconscious wisdom. If you know nothing about Tarot you can learn how to use the cards as a tool to explore your own inner self and help others. If you already use tarot you will find another facet of this fascinating subject within these pages. 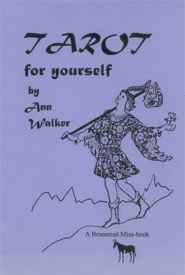 Living Tarot is based on the Hansen Roberts cards and grew out of a course Ann Walker devised and taught for many years. Available as a book, a Tape, a CD or a Download. might give you a clue. A CD or audio cassette to help you communicate telepathically with animals. Side1 - TALKING WITH ANIMALS. A talk telling you just how to do this. Side 2 - EAGLE MEDITATION. A Guided Meditation.